It’s been a phenomenal few weeks in the City of the Tribes. Visitor numbers seem to have increased significantly on last year and annual events such as the Galway Film Fleadh, Galway International Arts Festival, and the Galway Races have enjoyed bumper attendances. To crown the celebratory atmosphere, the city was recently designated European Capital of Culture for 2020. This accolade will ensure a packed programme of events four years from now and provide a lasting legacy to the city’s arts and culture sectors. It’s the subject of my latest piece for the Irish-American website, IrishCentral.com, which was published today. The successful bid resulted from a long campaign by a small group of local volunteers, whose “I back Galway” slogan really captured the hearts and minds of people across the city and county. 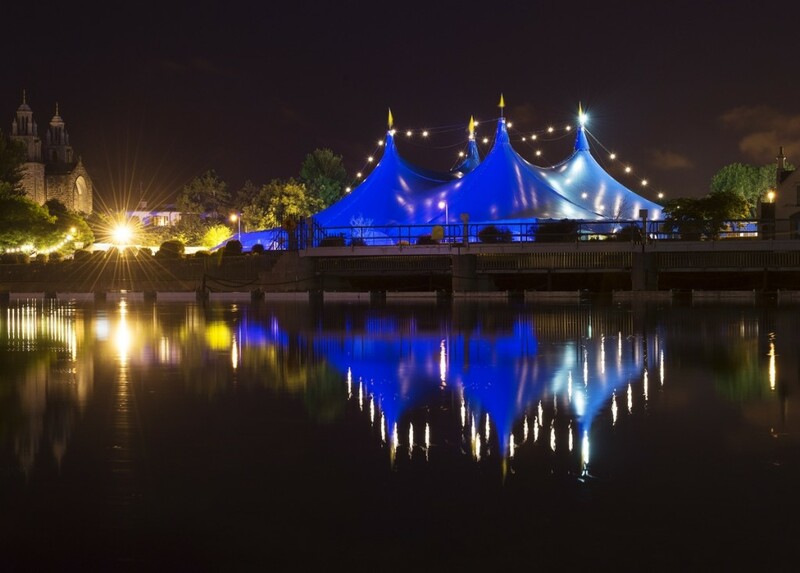 19/07/2016 Big Top GIAF16 Photo: Andrew Downes, Xposure. Previous Previous post: Is Ireland a racist society?